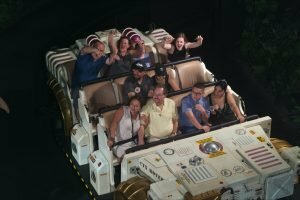 Time for our final Walt Disney World News & Rumours summary for 2018 update. We have kept you up to date with all the latest news from Walt Disney World throughout 2018 and will continue into 2019. Our last update of 2018 includes details of new attractions and a host of names being announced for previously announced experiences. 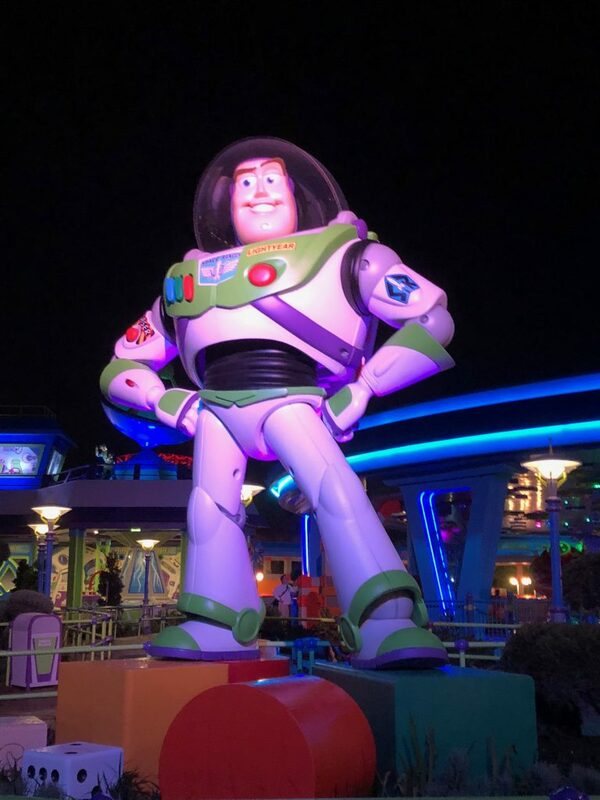 Our Walt Disney World News & Rumours December 2018 Summary will bring you up to date with all the latest events. Last month we announced that Disney After Hours would extend to the Animal Kingdom & Hollywood Studios in 2019. However, these special events are starting sooner than we expected with the 1 st event at the Animal Kingdom on 4th December. These events promise you reduced wait times for top attractions but they are not cheap. Tickets cost $125 per adult or child, plus tax or if you either an Annual Passholder or Disney Vacation Club Member a discounted ticket costs $95, plus tax. Walt Disney World Railroad & Tomorrowland Speedway. The construction of the new Tron Rollercoaster will result in the temporary closure of both the Railroad & the Speedway at The Magic Kingdom. It has now been confirmed that the Railroad will close on December 3 2018. There have been no announcements when the attraction will reopen but it is anticipated it will be in early 2019. During the closure, there will be an opportunity for a unique photo opportunity at the Main Street Station. 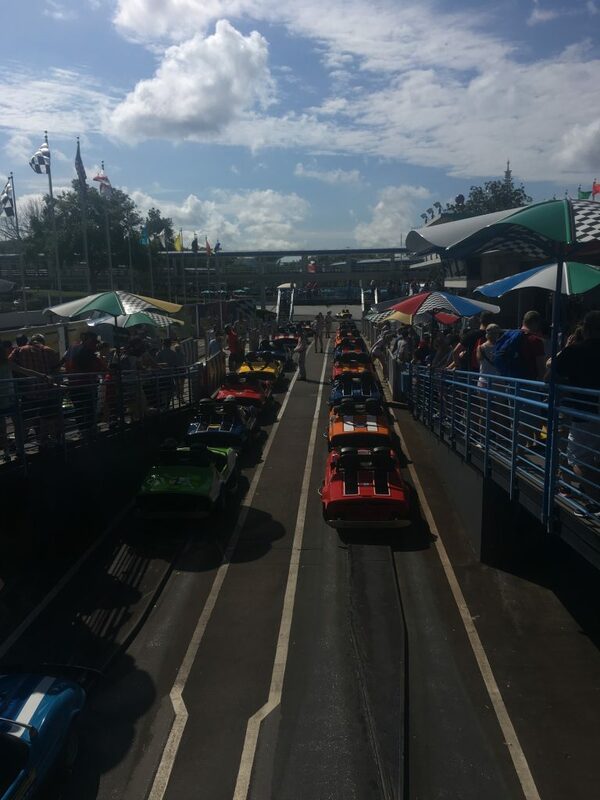 Tomorrowland Speedway is anticipated to close early January for a reopening date in Summer 2019. Regular readers of these updates will be aware I am not convinced about the wisdom of the new gondola transport system, Disney Skyliner. However, the following video provides more information on what guest will experience including the first glimpse of a gondola. The attraction will now be opening later than expected in late 2019. This new show will be opening in the France Pavilion in Epcot. I’m certain it will prove to be very popular but it is hardly an E-Ticket attraction. Will this new attration lead to the closure of the show at Hollywood Studios? IllumiNations: Reflections of Earth is due to close after the 2019 summer season. A new night spectacular is due to launch in 2020. Surprisingly Disney has announced that there will be a new interim show called Epcot Forever until the BIG NEW SHOW opens. Epcot Forever will feature classic Epcot tunes with fireworks, music, lighting, lasers, and special effects kites. A new nighttime experience will also début at Disney’s Hollywood Studios in May 2019. This new show will be part of the park’s 30th Anniversary celebration. State of the art projections will take guests through a tour of 90 years of Disney Animation. Last month we discussed the new Nature Theme Resort due to open on the site of the former River Country. The resort now has a name! Reflections – A Disney Lakeside Lodge will start welcoming guests in 2022. Another new area has also been without a name until recently. The new tower at Disney’s Coronado Springs Resort has been nameless through all publicity to date. 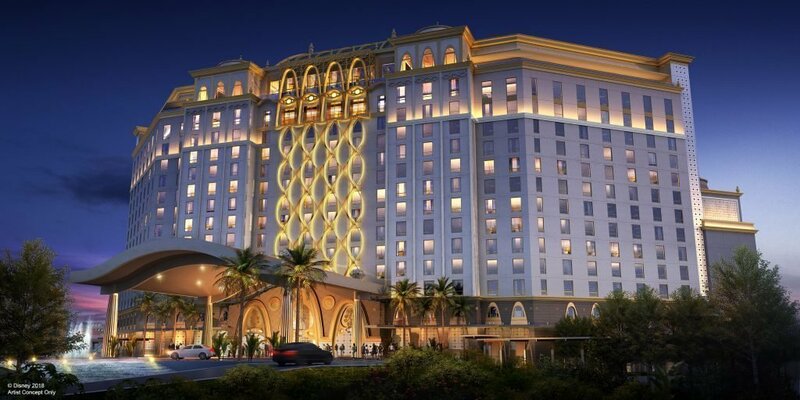 However we now know it will be called the Gran Destino Tower and reservations are now open. The Three Bridges Bar & Grill will be located on the waterfront. Toledo – Tapas, Steaks & Seafood will be located at the top of the tower. I wonder what it will serve? While we still have almost a year to wait until the biggest event of 2019 some new details have been announced. Yes you guessed it, we have names for the new attractions. In, Millennium Falcon: Smugglers Run, you will pilot the Millennium Falcon on a mission. Each guest will take one of 3 critical roles to complete the mission. In, Star Wars: Rise of the Resistance, you will be on a Star Destroyer’s hangar bay in the middle of a battle between the Resistance and First Order. Guests will even meet Kylo Ren during their mission. Disney is promising this attraction will be “built on a scale we’ve never done before”. Plus an unexpected annoucnement has also been made. John Williams will be creating a unique soundtrack for the area with new themes. Ziggy Knows Disney must like hanging over fences at Disney World as he has another fantastic construction update. This time it is the turn of the Guardians of the Galaxy Roller Coaster at Epcot. The new attraction isn’t due to open until 2021 but it is looking sensational. 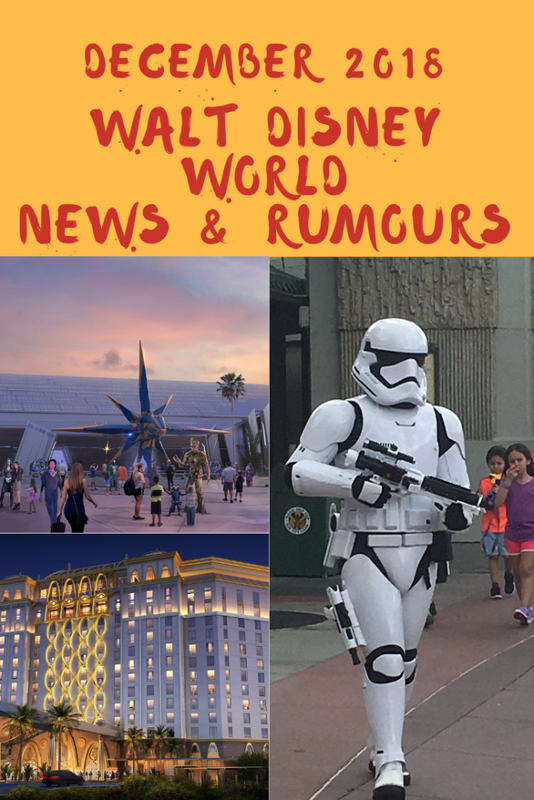 Our Walt Disney World News & Rumours will be back in 2019.